Salt River Sticks are the perfect cookie bar. 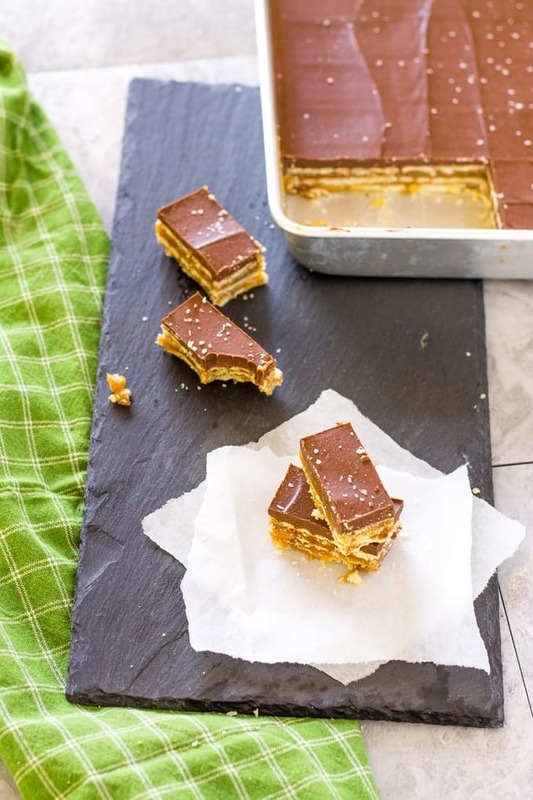 Layers of peanut butter, butterscotch, caramel, buttery crackers, and dark chocolate! 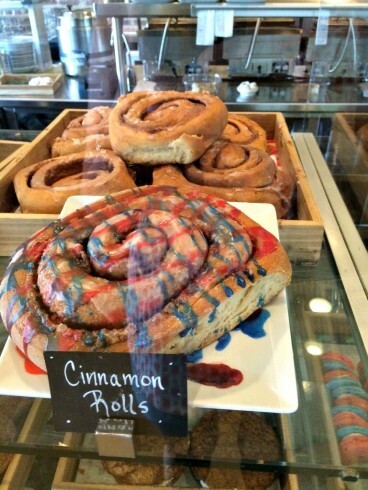 Not long ago I visited the Liberty Market in Gilbert, Arizona. 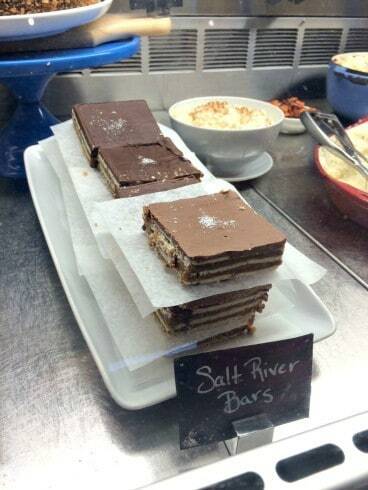 They are known for their Salt River Bars which I have reinvented into Salt River Sticks! These bars looked so amazing I had to do some research for myself. The family and I hopped into the car and turned on the GPS. After making our way to Gilbert, and going around the same block a few times we found a place to park. From all the buzz I heard about this place I was practically running to the door. Once inside, I could get my bearings and then decide where to go from there. First stop, the ordering counter! With so much to choose from Brooks and I went “tapas style” and ordered a few different things. Braxton wanted fries so we started with some Oven Roasted Fingerling Fries. 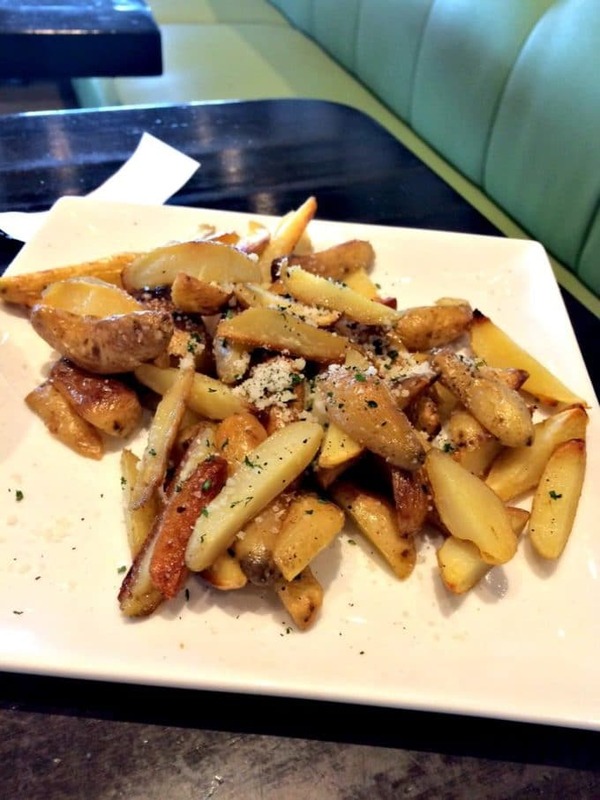 These tender potatoes were dusted with cheese and served with a screaming hot Habanero aioli. YUM! 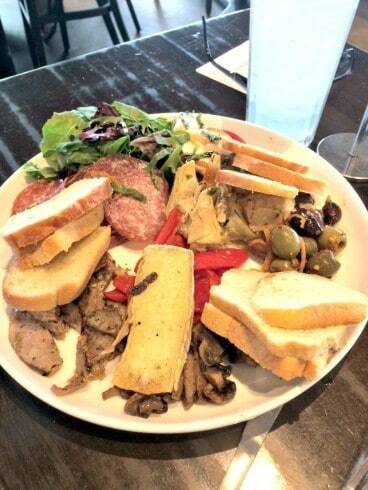 We also grabbed an Antipasto Plate because there is nothing like some cheese and olives to get started! Couldn’t you just devour these tiny fries! This platter did not last long in front of us! They have such history being there since 1938. From the shopping carts that they used to carry wood in for the pizza oven, to the names of the original owners marked in the concrete. So amazing! Plus the food is out-of-bounds (sorry to go all Guy Fieri on you) but it is. 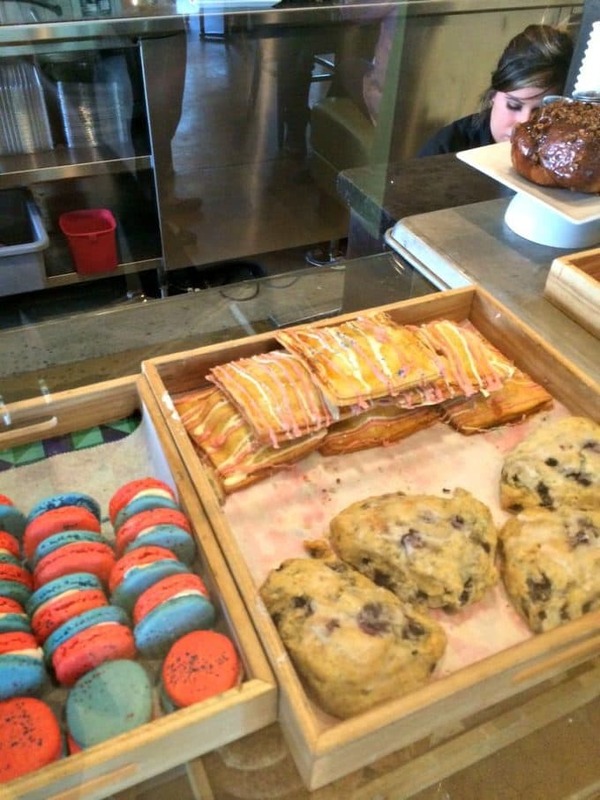 Take a look at the items in the dessert counter that were making me drool while I was waiting for my chicken pot pie. These cinnamon rolls were bigger than my head-NO LIE! Here is their selection of macaroons, scones, and homemade toaster pastries! Every plate that walked by me, I had to look at. I always do that and then I immediately regret what I ordered. There is no way I could regret this pot pie! 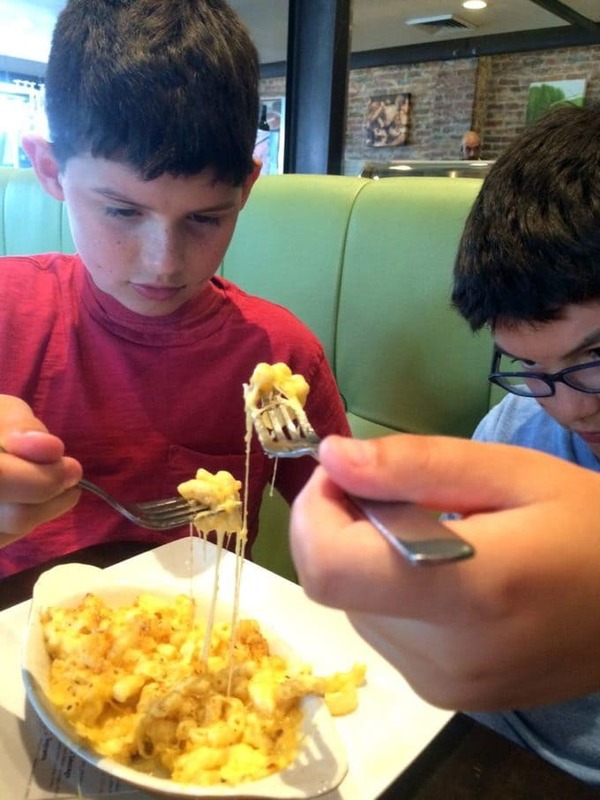 My oldest, Braxton ordered macaroni and cheese. Connor said that he didn’t want any because it had some “burnt stuff” on top of it. What kind of fool doesn’t love a toasted crumb topping? Once Braxton started moaning from the taste and the cheese started stretching, Connor couldn’t help himself. He had to dig under the “stuff” to get the untarnished noodles, but he managed. Stretching their limits with this cheese! 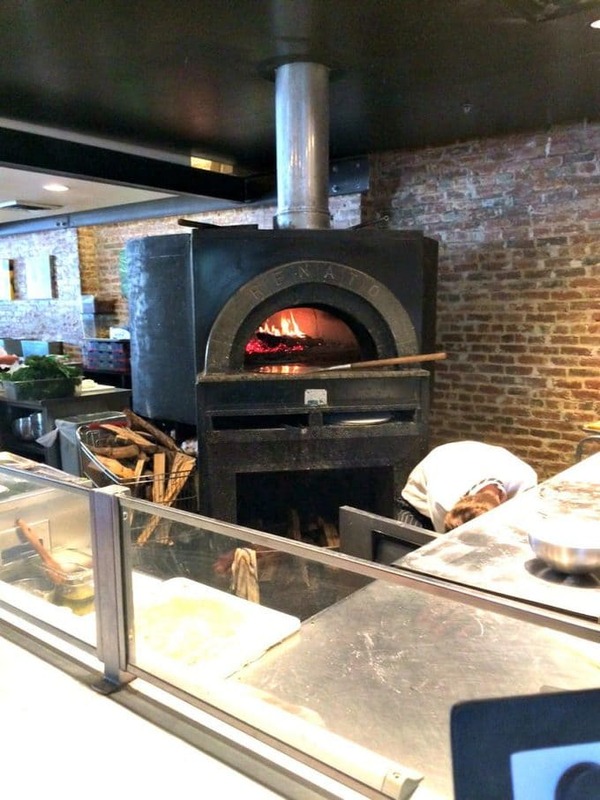 While we were waiting for our food to digest, we took a stroll around the market and looked at the pizza oven. An open kitchen is the best thing to have! I was captivated watching the chefs at the various stations and love that they are so happy to interact with you. When it comes to restaurants, I ask more questions than my youngest, which is approximately 4,375,315.8! Check out their espresso bar and the cool shopping carts on the wall! The original pizza oven from 1938. Here are the bars that brought me here in the first place! Those Salt River bars are so big that my whole family could share one. Well, attempt to share one with at least three people ending up crying because I beat them to it. We don’t play with sweets in my house. Any board game competition we have and at least one person always ends up storming out the room. Making it into Salt River Sticks would be fairer! Thanks to Adell’s research, I had a great starting point to make these bars my own Salt River Sticks. First, I switched the milk chocolate for dark. I love the bitterness that it brings and hopefully will cut down on some of the sweetness of the caramel. Second, I have a thing for too much cinnamon, so I cut down the number of graham crackers in the caramel layer and beefed up the amount of peanut butter. I hope you enjoy these Salt River Sticks! Many bloggers have sacrificed their calorie intake to deliver these bars to you. Don’t disappoint them and not make them! 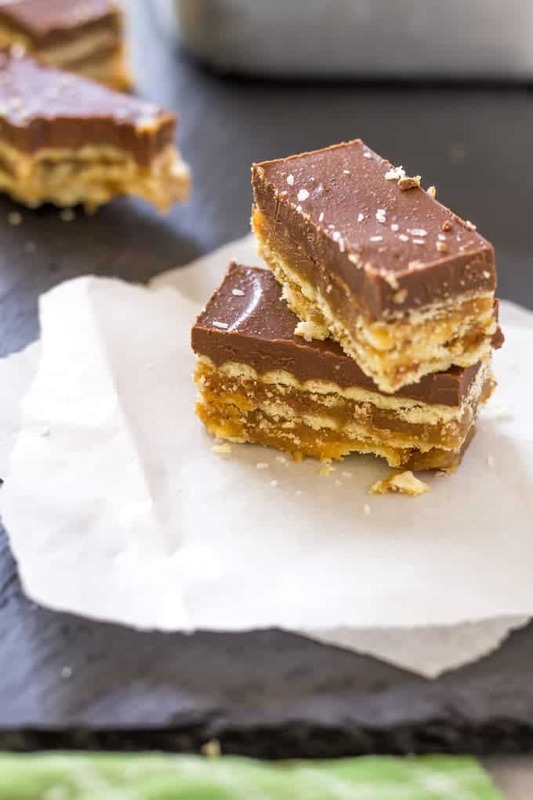 These no bake layer bars are the perfect mix of sweet, salty, chewy, crispy and they contain chocolate and peanut butter! Mix the graham crackers, butter, milk, and brown sugar in a heavy-bottom sauce pan. While the sugar mix is boiling, line a 9×13 pan with one layer of club crackers. Salt side up! Count how many you used and get another two layers ready to go. When the 7 minutes are up, pour half the mixture over the first cracker layer. 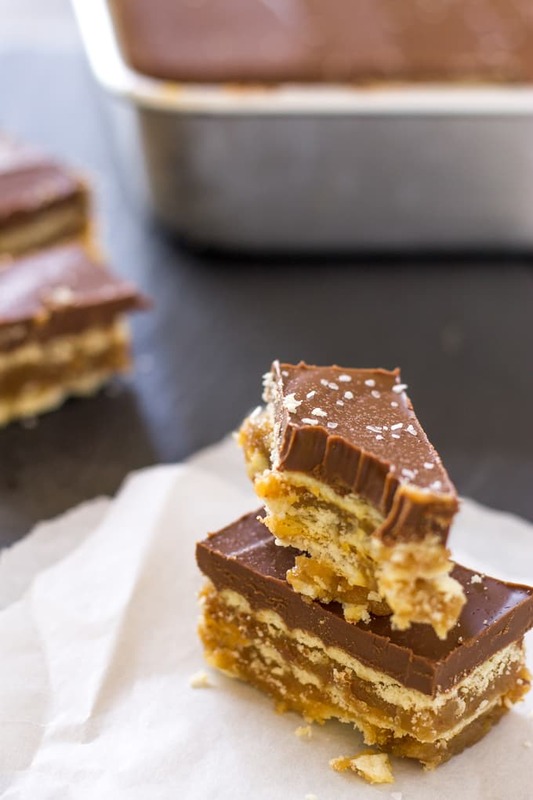 Place another layer of crackers over the caramel layer. Pour the other half of the caramel mixture over the second layer of crackers and spread out. Place one more layer of crackers. Once the crackers are laid out, melt the ingredients for the topping. Pour over the top layer of crackers and spread out evenly. 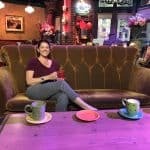 I would never have known about this place except for the blogs Classy Clutter and Baked in Arizona. I found their pin for Salt River Bars on Pinterest and saved it knowing I was going to be in Arizona, close to the Salt River, in the near future. The original recipe for Salt River Bars is here if you want to check out Adell’s version. Could I use regular butter? Or is there a benefit to using the salt and olive oil butter? Hi, A Canadain here, what are club crakers, are they the same a soda crakers? I love you site and plan to look up more delicious reciepies. Wow, I think I would still be there! That place looks amaing! I can’t find the sea salt and olive oil butter. I’m wondering about just subbing butter and an additional amount of salt. Thoughts? That will work fine. I just bought all they had when they sold them in my store. I haven’t seen them since so I think it will be just fine! My husband and I live in the Phoenix area, and living literally on the opposite side of the city from Liberty it is a special treat we get once, maybe twice a year. And every time go we bring home a Salt River Bar. Saw a pin for these on Pinterest and may have freaked out a bit. Thanks for reading! I will definitely going back next time I am in Phoenix. Even though it is a trek, it’s still worth it! These look so good, I am sure stopping after one would be impossible! It is for me:) Whole pan is my stopping point, usually because they are gone!! These bars are a wonderful sweet treat! Thanks Rebecca! I can’t indulge in these all the time but they are good! Thanks Susan! The graham crackers in the caramel is something new to me but totally works! That market looks amazing, I can see why you wanted to replicate those bars at home. And now I want to try those bars too, they look soooo delicious! I keep stumbling upon your site with these amazing things staring back deep into my soul! I think the Salt River Sticks and I are meant to be together so I am pinning! Thank you so much for sharing this recipe with us at the Inspire Me Mondays Link-Up. They look and sound amazing! Looks delicious! I definitely feel my sweet tooth cravings just looking at those photos! Oh my… This looks SO GOOD! Major drool! These are absolutely addicting. One of my personal favorites! Such a great recipe! Thanks Trish! I am a mega fan of your S’mores Dip! How fun! I live in Arizona too!! We lived in Gilbert for several years and now Phoenix. So many fun things to do here, sorry I missed you! Sounds like you had a really great trip! And I’m like you–I always regret what I’ve ordered when I see all of the great stuff I overlooked! These salt river sticks look like they weren’t a mistake though. Yum! Wow! These look so amazing! I live in AZ and just went to Liberty Market for the first time ever recently! You’re right – so fab! Glad you had a good time and really glad you’re sharing this recipe!! Wow, this looks so delicious!! I love club crackers and now I have a new way to eat them! YUM! Thanks Sabrina! 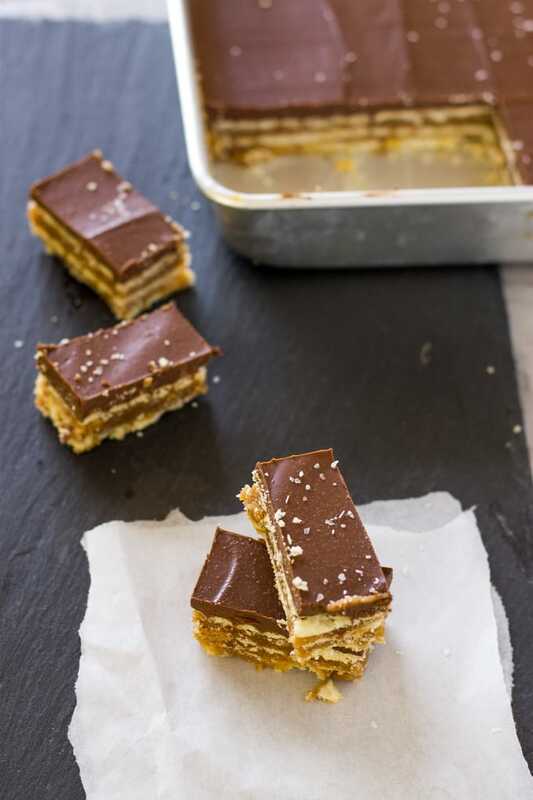 I love a good salty cracker and finding ways to incorporate them into desserts. What a fun trip. I love to recreate recipes from a trip. These sticks look amazing. Thanks Christie:) I love planning my trip around restaurants and then my hubby gets mad because I talk to the staff too much and take notes. Loved to read about your trip and all the lovely food you had including these luscious looking bars 🙂 Loved the recipe of your creation too that I shall be trying out very soon! It’s a Land O Lakes brand that I used for a cream cheese frosting for a wedding cake and found that it offsets the sugar so it’s not so sweet! This is such an amazing treat!! Who can refuse to such a dessert? Thanks! I can destroy a whole one by myself! I love Liberty Market! If you ever get back to that area, the other surrounding restaurants are also amzing – it’s a fun little area. Oh yeah, these Salt River Sticks look dangerous….dangerous because I’d eat the whole tray to myself they look so good! Thanks for reading Sarah. I had to give the tray away because I would have eaten the whole tray as well. They are so addicting with that crunch and hint of salt! The bars look wonderful, I can see why you had to go find them on your vacation. Yum! I always trust other bloggers recommendations! They have not steered me wrong yet! Thanks for reading! Those salt river sticks look so incredibly flavorful! I can only imagine how wonderful they tasted. Make them today! You won’t regret it. Thanks for reading! These are beautiful, and I know they are SO tasty. Yum yum yum!! Thanks Whitney! I can’t stop eating them! The experience looks wonderful. The sticks look awesome. I could have stayed there all day and ate everything on the menu! These sound so good Jen! I hv a thing for salted desserts and these seem perfect for a nibble! Thanks Swayam! Too bad I end up nibbling all day on these and then the pan is gone! With the cholocate, salt, and caramel, I think you might have given us a hit for my whole family too! Thanks for the recipe! Thanks Sabrina! They are a hit in mine and all my friends houses too! These bars look like ultimate salty/sweet HEAVEN! Yum! 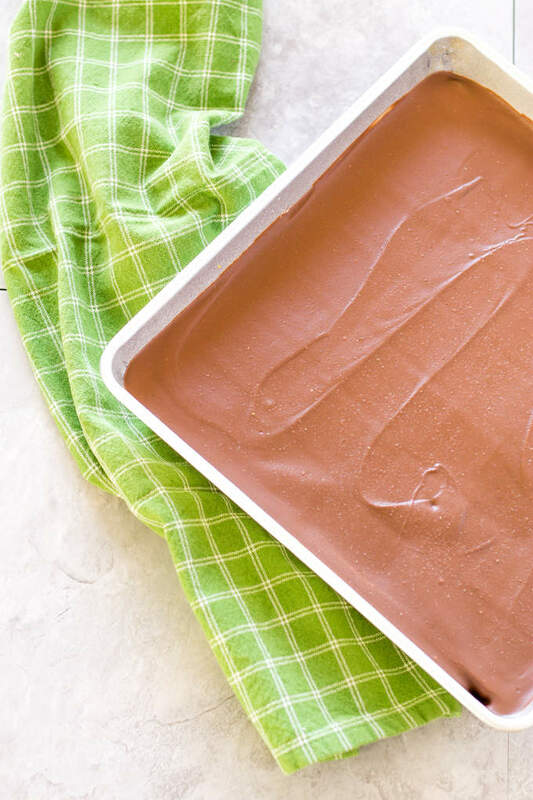 🙂 I live in Phoenix, and even though I’ve seen these bars before, I’ve never actually bought them…I always tell myself I can make desserts at home for way less than at the Market…and now, I really have no excuse! 🙂 I’m so excited!! Definitely diving in and making them! Thanks! Next time I am in Phoenix I will reach out and maybe we can go discover some places together! I love meeting other bloggers. 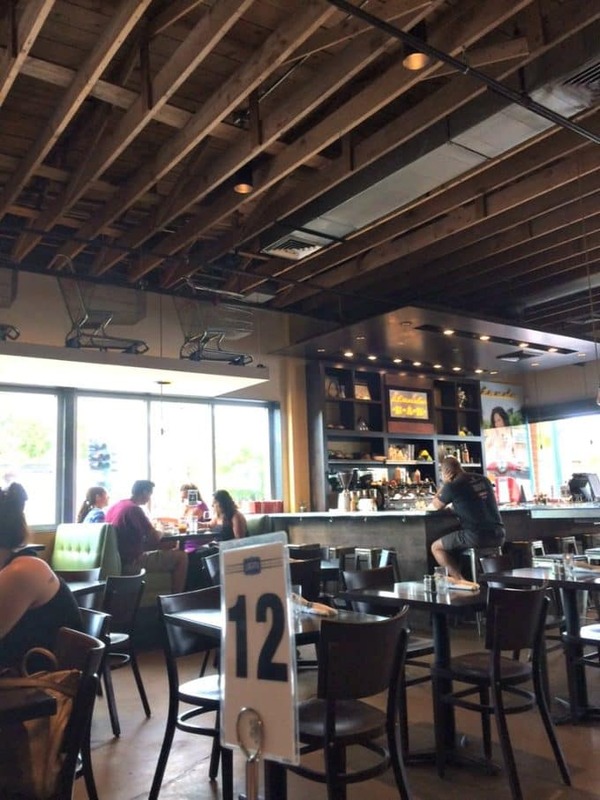 Phoenix has so many cool places to eat, Blanco Taco being my hubby and I’s favorite right now, along with North, that we wouldn’t run out of things to try! Thanks! Ever since I made them the first time I have a continuous craving for them! Thanks! I was drooling over all the other desserts, I might need to go back a few more times and try to make some of their other ones! Love these, I am so making them, they looks so addictive. Okay, I can see why you had to go and get these bars–I would get mean nasty if I had to share mine. They look incredible. 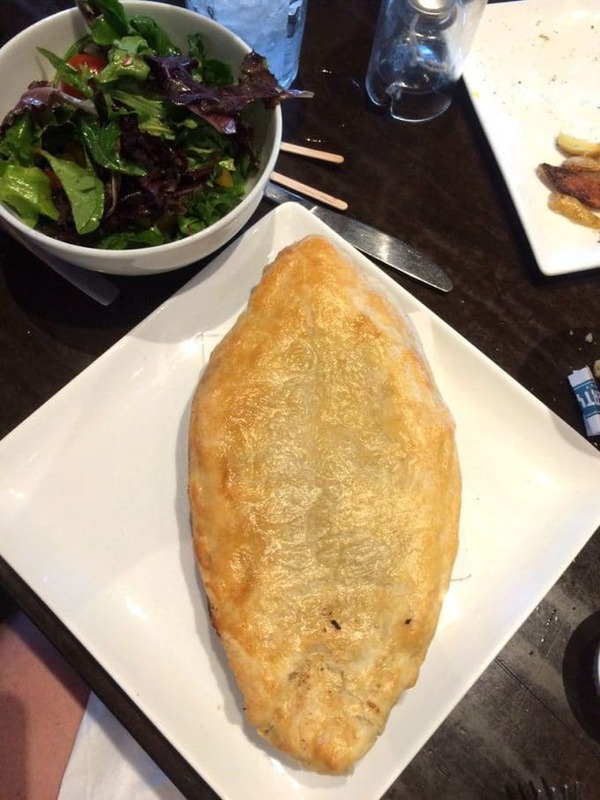 And I love that you sampled a bit of this and that–best way to enjoy a meal out! Thanks Kristen! I used to eat one plate and then end up sad that I didn’t get to try other foods. I love tapas style! I certainly don’t want to share either! This. I need this. NOW! Totally my type of sweet treats, I LOVE crunchy crackers and go nuts over caramel! 🙂 Pinning! Mine too! I love all the salt and sweet and crunch! Having the graham crackers in the caramel add another hint of cinnamon. Thanks so much for reading AND pinning! You are such a gracious person and I have learned so much from you!! These look and sound very similar to my very favorite Christmas time treat that my momma makes for me each year! But different too. I can’t wait to try these out and see! I love when a recipe brings up memories! Thanks for reading and I hope they taste (almost as good) as your mom’s since I know that nothing ever tastes like mom’s! Sounds like a fantastic place to eat! Eating out is my favorite part of vacation! Everything we do is planned around where we are going to eat! Wait! A think called sea salt and olive oil butter exists?????? These look absolutely divine and THANK YOU for making a tapas size dessert. I usually end up not having dessert because too much sugar just knocks me out. But a little bar like this? Heaven. I found it on sale, Land O Lakes, and used it to make frosting and the sea salt cut through the sweetness of the sugar. Great balance. I can’t always find it though so when I do find it, I buy all of it! i don’t usually click on desserts and sweets, but these are so intriguing! I might just make them at Christmas! Thanks for sharing. I hope you like them! They are addicting!